A special fundraising concert to benefit the Historical Piano Study Center will be held at 4:00 PM on Sunday, July 29, at the Ashburnham Community Church, 84 Main Street, Ashburnham, MA. Pianist Yuan Sheng, of the faculty of the Central Conservatory of Music, Beijing, China, is donating a repeat of the all-French program he will be playing earlier that week at the International Keyboard Institute and Festival, The New School for Music, Mannes College, New York. In Ashburnham, Mr. Sheng will be playing the 1877 Erard piano from the Frederick Collection – an instrument advertised by the leading Parisian firm as its “Extra-grand modèle de concert” (extra-large concert grand), boasting 90 keys extending to a low G, rather than the usual low A. Admission of $25.00 per person (children and students, $10.00) will help support the general running expenses of the Piano Study Center, the only resource in the United States where musicians and music lovers can play on and hear fine grand pianos built by major European makers between c.1790 and 1928, the instruments known to the great composers of the standard piano repertoire working during that time. Plans are underway to produce a special, limited-edition CD, recorded at the rehearsal for this concert, a thank-you to be given only to contributors of $100.00 or more in support of The Study Center. 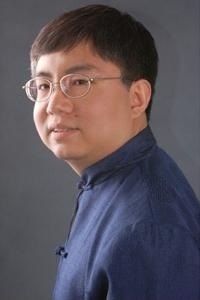 Mr. Sheng, who earned his undergraduate and advanced music degrees in New York and has performed internationally in solo recitals and with orchestras, learned of the Frederick Piano Collection from pianist colleagues. A strong advocate for gaining new understandings of the piano repertoire by playing these original instruments, last summer he recorded audio-video material here at the Frederick Collection which were later broadcast in six installments of his weekly China Public Television program. For further information, you may or telephone the Fredericks at (978) 827-6232. No advance reservations are necessary. Historical Piano Concerts, Inc. is a 501(c)(3) nonprofit organization; all donations are tax-deductible. The church, at 84 Main Street, (Rte.12) Ashburnham, is fully wheelchair accessible. Sunday, July 29, 2012 at 4: 00 p.m.